Dr Tom Freeman said it was a “big risk” for people to use CBD oil, which can be bought from shops like Holland & Barrett, for health problems. Dr Freeman said there was an “information vacuum” on the medical use of cannabis products and welcomed plans for new guidance from the National Institute for Health and Care Excellence (Nice). “It has become much more complicated now because of the law changing because it has opened up opportunities, but it has also not happened in a consistent way for all the medicines,” he said. 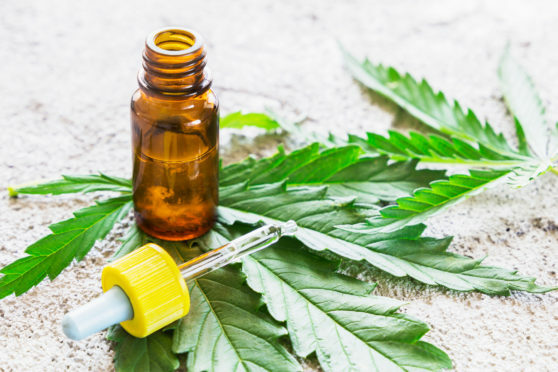 “Cannabidiol products which are widely available on the High Street don’t meet standards for medicinal products so the quality is not assured and the doses are variable and low, typically. “So when we were carrying out our research we found that many patients were using these products from places like Holland & Barrett for medicinal purposes. “The really important message is that they shouldn’t be doing this because there is no data to support the ethicacy or safety of these. “The profession of medicine is based on clinical trials and scientific evidence and we don’t have that for these others. “CBDs can be effective as a medicine, but these other products haven’t been tested and so it is not a suitable medicine and it is big risk that people are using these. “Patients might not be aware what they see in Holland & Barrett and when they read about cannabidiol being used in the treatment for epilepsy. Dr Freeman led a clinical review providing interim advice for doctors and clinicians in prescribing cannabis-based products and cannabinoids and highlighted the differences between products containing tetrahydrocannabinol (THC) – the main psychoactive constituent of cannabis – versus cannabidiol (CBD), the non-intoxicating element. “In this complex and rapidly evolving field, there are several different cannabis-based and cannabinoid medicinal products,” said Dr Freeman, of the University of Bath. “These differ in their THC and CBD content, who can prescribe them, and the conditions they may be used to treat. “Research on unlicensed cannabis products has been limited to date,” Dr Freeman said. “The rescheduling of cannabis and allocation of dedicated UK research funding will improve the evidence we have to guide clinical decision-making. “There might also be situations where for conditions where we believe there was evidence we will find it was not so convincing. “What it will do is refine our ability to make accurate clinical decisions because at the moment the evidence is limited. The clinical update, Medicinal use of cannabis based products and cannabinoids, is published in the BMJ.